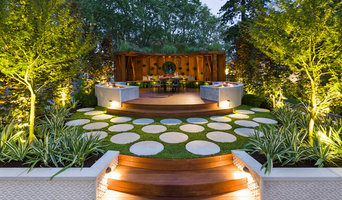 Orta Landscape Designs create bespoke gardens that are are beautiful and full of imagination as well highly functional. 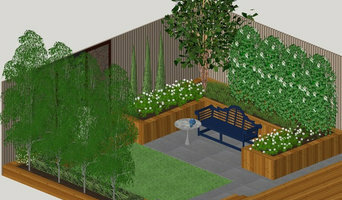 We believe in working closely with our clients as creating a dream garden is definitely a team effort. Perry Mills & Associates helps land owners and land management agencies to build rich, sustainable and valuable places and communities by getting creative solutions approved and constructed. Award winning Cheswick Consultants designs and develops landscapes that filter out the chaos of the world and provide people with the time and space to sit quietly by themselves. Using a mixture of contemporary and traditional design, our landscapes are ideally suited to use in residential developments, medical centres, hotel foyers, wellness clinics, hospital grounds, courtyards and atria. Jessica Derrick is a passionate landscape designer, exterior designer, qualified horticulturist with extensive plant knowledge, an enthusiastic interior decorator, a lover of furniture, art, and all things design. For 18 Years Jessica has worked closely with her clients designing beautiful, innovative landscapes to accentuate the home, bringing the clients dream to life. She is renowned for her attention to detail and artistic flare, creating gardens that present immense visual impact, adding value to the home. She established her landscape design, construction and maintenance business “Style n Simplicity”, on the Mornington Peninsula in 2000. Having a hands on approach in creating her designs from start to finish has given Jessica invaluable experience, a strong understanding of the construction process and the crucial key elements required to make a design not only timeless, but impressive. Having travelled extensively throughout Europe, Asia, Indonesia and beyond Jessica has visited some of the most stunning gardens and hotels around the world giving her an abundance of inspiration to bring home to her studio. Managing a team of up to twelve staff, Jessica’s project management and organizational skills have proven to be a huge success in building her business and gaining her awards for excellence and innovation along the way. Her drive and enthusiasm to deliver beautiful landscapes and incredible results has landed her countless large projects at prestigious properties in Portsea and Sorrento, some taking up to a year in construction. “When you’re passionate about something you take the utmost pride in your work. The most rewarding and satisfying part of my passion for design and landscapes is seeing my vision years later when the plants have grown and my clients are enjoying a garden full of life. Garden creator with over 30 years experience. Creates gardens to suit your lifestyle and needs. Local perspective with global experience. As a local designer I look at every project with the same ethos, aesthetics, function and form to create spaces that exceed the expectations of the Client. Landscape Design & Construction in Geelong & the Surf Coast Creating beautiful, robust gardens takes local knowledge, skill and expertise. Ocean Road Landscaping range of services include Landscape Design, Landscape construction as well as Garden Maintenance. Established in 1995, we have been creating award winning gardens along the Great Ocean Road, Geelong & the Surf Coast for well over 20 years. Working with nature and creating our unique style, these domestic and commercial landscapes are designed to thrive in local conditions. With our professional work, you can be sure you will achieve a garden that you can enjoy for many years to come. With our creative design team, ORL ensures that no garden is the same as each garden responds to our clients brief and is unique. Due to our high standards, every garden becomes a long term success. ORL offers ongoing maintenance options to help your gardens grow to maturity. We take the utmost care and pride with our garden designs enabling us to be the obvious choice for all your landscape construction needs. 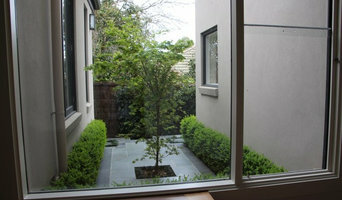 Ocean Road Landscaping offers Landscape Design & Construction in Geelong & the Surf Coast right through to Apollo Bay. This is covered by our professional team who are passionate about gardening, priding ourselves on communication, plant knowledge and a high skill sets to be able to undertake the trickiest jobs. View our You Tube clip <a rel="nofollow" target="_blank" href="https://youtu.be/ANLJUrYO6M0">https://youtu.be/ANLJUrYO6M0</a> or give us a call on ph: 03 5263 3133. We rhyme your garden with nature to create dreams. " 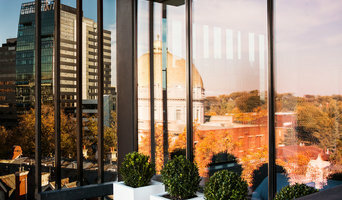 Our approach is designing complete environment, and exceptional landscapes, communities and places. We believe landscapes can be sustainable, functional and beautiful, if they are integrated to surrender environment, our lifestyle and our aesthetic view. " Z. Assar Kh., Founde. Mark Travers is a Landscape Architect based on the Mornington Peninsula, specializing in innovative landscape design of both residential gardens and public open spaces. Mark began his career in retail horticulture before completing a degree in Landscape Architecture at RMIT University with honors in 2001. Mark also holds an Advanced Diploma in Building Design (Architectural). A registered landscape architect with the Australian Institute of Landscape Architects, Marks broad project experience ranges across all scales from small residential courtyards to commercial developments, schools and large scale public open space landscape planning. Mark brings a modern feel and minimalist design sensibilities to every landscape project. Examples range from traditional cottage gardens, coastal gardens, urban courtyards and pool landscapes through to play grounds and public parks. All landscape designs feature a contemporary use of materials and drought tolerant plantings. Houzz is a great place to start your search for the right Geelong, Victoria landscape architect or designer. You can either browse outdoor photos and find professionals linked to them, or you can browse our professional directory, see their latest projects, read reviews, and narrow down your search based on your style preferences. Once you’re down to a few, reach out and get some quotations to make your final choice.